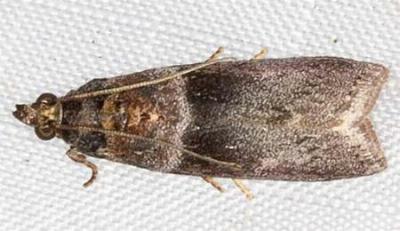 The moth has dark brown forewings each with a dark-edged pale line across the middle. The hindwings are pale brown, often reddish, shading darker at the edges. The wingspan is about 3 cms. Part 29 (1864), pp. 757-758, No. 133.